Former Berekum Chelsea manager Sarfo Castro has been appointed manager of Wa All Stars until the end of the season with an option of additional one year, the club has confirmed. The 2016 Premier League champions parted company with Alhaji Mumuni Sokpari last week, with the club sitting 14th after three games this season and a 1-0 loss against Dreams FC last week proved the final straw. Castro, who previously had stints with Asante Kotoko and Okwawu United, was in the stands on Sunday when All Stars pipped Chelsea 1-0 and will be in the dugout for the first time when they travel to Len Clay Sports Stadium in Obuasi to face Elmina Sharks next weekend. 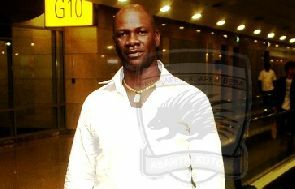 “Sarfo Castro has been appointed as our new coach until the end of the season,” the club’s statement read. “We believe he is the right man for the club at the moment and hopefully we will achieve a lot of successes in his career. He was around last weekend when we won against Berekum Chelsea and now has a fair idea about the players he will be working with throughout the season. “We thank Alhaji Mumuni Sokpari for his relentless effort and wish him well in his future endeavour,” the statement added. Last season, Castro joined Berekum Chelsea in the second round and guided them to beat the drop on final day. He was recently with second-tier side Young Apostles as a technical director until his latest appointment. April 4, 2018 in News.